Turn your backyard oasis into a salt swimming pool within days! We recommend only the best! 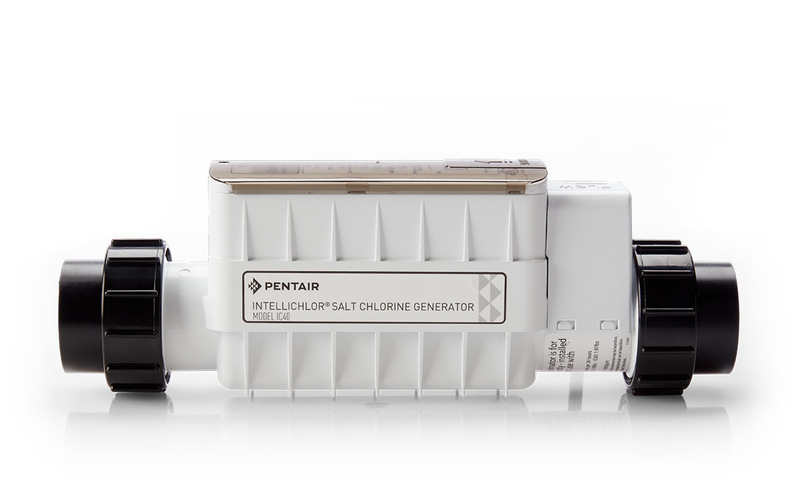 Based on our experiences, we have seen the most amazing results with the salt chlorine generator by IntelliChlor. This process turns common table salt into a salt chlorine generated pool for a more all natural and sooth environment. We simply add salt to the water supply by 40 lb. bags which then circulates through out the water system and travels through the Salt Chlorine Generator where it undergoes a process known as electrolysis which converts the salty water into chlorine. This process provides the same sanitation results as normal, without having to place harsh chemicals into the pool. Continue to learn more below! Major reduction of harsh chemicals being added to the water supply. healthier environment for the body to reside in while swimming. Can remove electrical unit during winter time for proper storage. Easy operation pad with cover for water protection. No more stinging eyes or green hair from pool water! system automatically regulates supply and shows levels right from the control box. Clear Water Pool Services LLC.. is the best swimming pool company in central New Jersey, providing exceptional service and keeping every homeowner as the #1 priority. Below you will find our hours of operation. If you have a swimming pool emergency, please call us directly any time.